“It is not what you look at that matters, it’s what you see.” Henry David Thoreau. Who knew that Thoreau was a photographer? For me photography has been more about how we see things and relate those experiences to larger thoughts. Both technically and aesthetically, I like to think in terms of relationships and how everything is interrelated. Just as a F-Stops relates to Shutter Speeds, what we see today relates to other things that we have seen or felt in the past. What I have read about the Mississippi in Mark Twain’s book, Life on the Mississippi, has added deeply to my understanding of the river today, more than a hundred years after the book was written. Edward Weston’s photography seemed to be always more about the larger meaning of the subjects of his photographs than it was about the literal depiction of the subject. True, his pepper was still a pepper, but in Weston’s hands it became a metaphor of the human form, which in turn became a metaphor of the universality of shape and form. The photographs that I am most attracted to are those that I can look at and see more than what the picture is actually of. 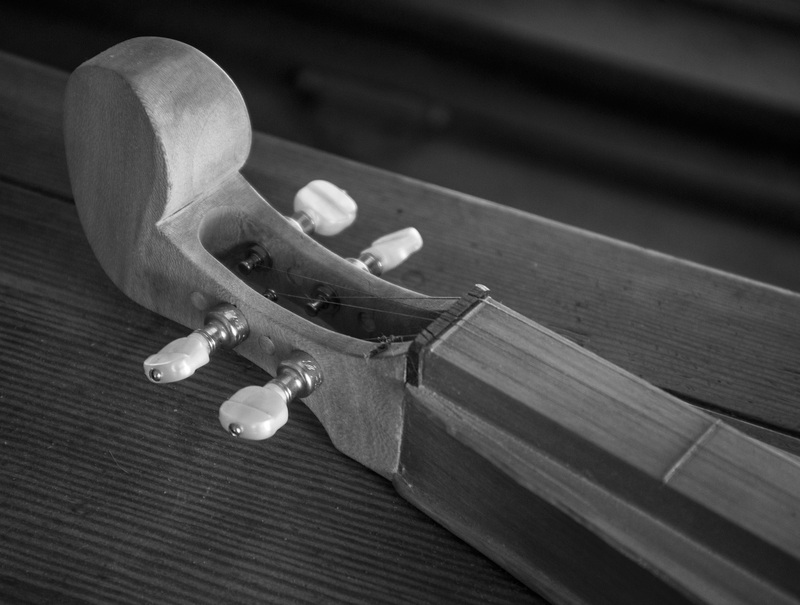 A former student of mine once complained that there was no new subject matter to photograph. I told him that was true, but there is still an unlimited number of ways to present any subject and an unlimited number of ways to see even the most common subjects. Last night I went to an opening and saw the wife of a friend of mine who had been through what might have been a serious illness and she sat next to me on a bench outside the gallery. Knowing that I fairly recently had my own scare, (I don’t want to sound gloomy, or worse yet, silly, however in my mind the possibility of my premature demise seemed possible at the time) she wanted to know how I was doing. Glad to say that we are both doing well. Though she said something that I related to when she mentioned that she was worried during her illness because she felt that she was too young to die. Thinking about it now, I am not really sure if that was what she was really saying or that was just what I was hearing, but that thought hit home to me. We are about the same age. When I was in the hospital, I had thought that I too am too young to die. While I am steadfastly tumbling towards 60, I don’t feel that old, even with the aches and pains. Thirty-five years ago, 60 seemed so painfully elderly, but now I feel that I am in the prime of life, even with its occasional pain and uncertainty. But lying in my hospital bed, I was thinking that if it was my fate to die, I could have no complaints about not being given my chance at life. Not that I was ready to die by any means, I just felt that I had no complaints. I have been reading more and more about those of my generation and even younger who have passed on, some of them had done great things and maybe would have done more if they had the time. While now such thoughts seem a little silly and premature, it was not really all that bad to sit back and contemplate. Not to dwell, but OK to contemplate. 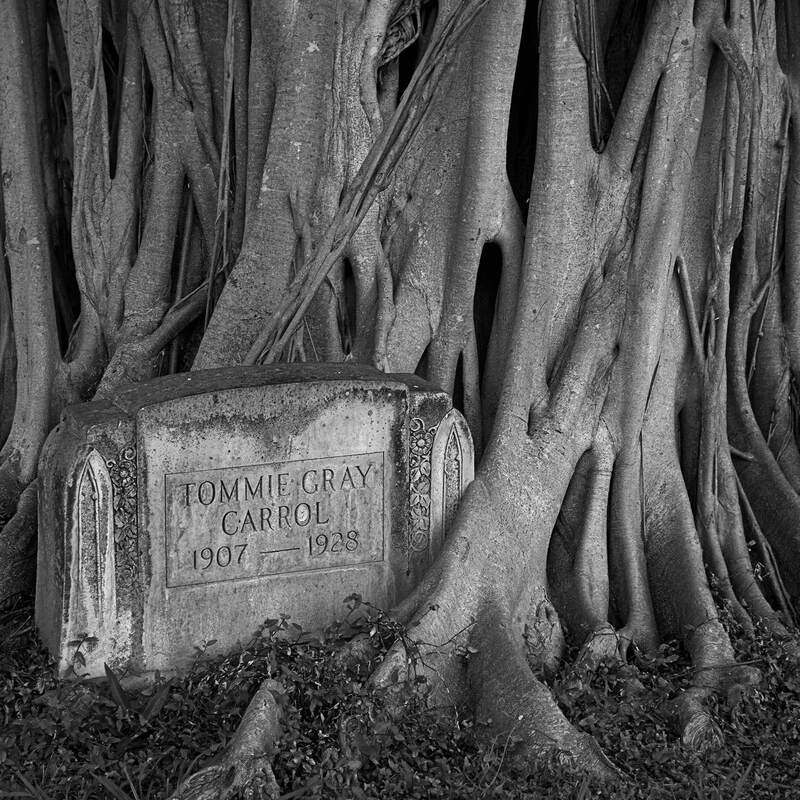 When my friend Jon and I went out on that last weekend of 2012, I photographed a headstone in a cemetery in West Palm Beach. The stone was old but the age of the person buried there was young, no more than 20. I think that he or his family had some money as the stone was ornate in its carving and at the time of his death a young banyan tree was planted near his grave. Over the years the tree got bigger and bigger and the trade mark root base of the tree began to envelop the stone to the point that in time the head stone will be in the tree more than beside it. This did not distress me, nor did I feel it to be disrespectful, but thought of it more as nature reclaiming its own. While we might feel that we are above nature, and it is ours to control, the fact is that we are part of nature and the cycle of life and as such we are the ones who serve nature, not the other way around. In time we have to submit, like Sisyphos, to nature’s inevitable control. Yesterday, a friend and I spent the day out looking for things to photograph. It had been some time since we had been to South Florida, especially on the east side of Lake Okeechobee, so that was the direction we headed. Our idea was to head down Highway 441 around the great lake and then catch Highway 27, over to somewhere north of Miami where we would then return north on Highway 1. I have written before about the trips that my father and I made to the western side of the Everglades to fish, but when we first came to Florida in the late 1950s we often took day trips to various parts of the state, including the east side of Lake Okeechobee. There was one trip to this part of the state that we made when I was maybe six or seven, where we stopped at a gator farm. There were many of these gator farms, especially near the Everglades, where male Seminole Indians would be on hand to wrestle alligators and the women would sell Seminole handicrafts. Unknown to me at the time, the gators were kept very well fed and were most lethargic and in truth the man wrestling them was in little danger. But that was not how it seemed to a six year old. My brother, who at the age of twelve, I am sure was worldlier. The man would get on the gator’s back and pull it’s head up from behind. The gator’s mouth was wide open and one, if positioned in the right spot, could see deep down the gator’s throat. To me I was looking down the abyss, to what would be my final resting place if the gator decided to break through the seemingly flimsy chicken wire fence that separated the tourist from the predator. While all this was happening my mother and grandmother were off to the gift shop where they bought dresses for my mother’s nieces. My Grandmother, who owned a fabric store bought Seminole made fabric and was interested in how the dresses were made. My mother bought handmade crafts for my father’s brother who was a collector of Native American artifacts. Now, more than 50 years later, I remember those trips clearly, almost as if they had happened yesterday. 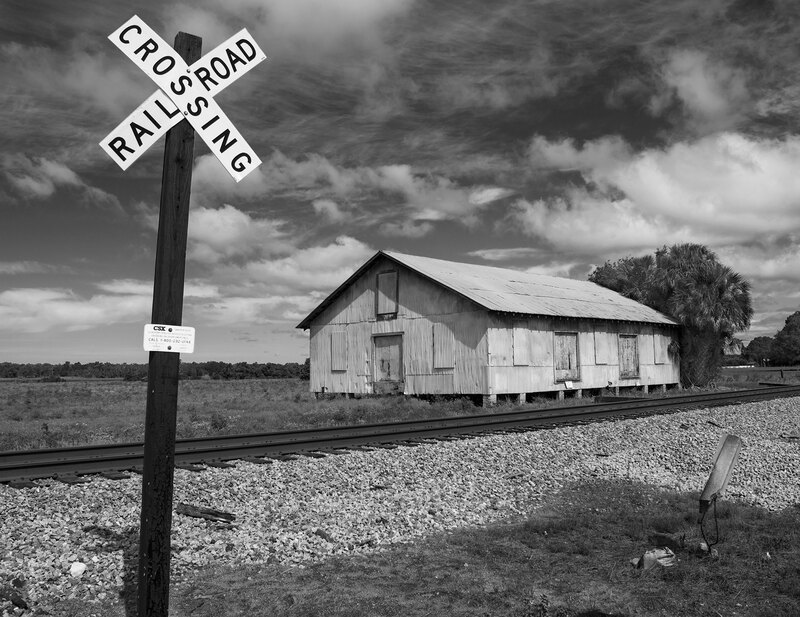 Yesterday while driving down Highway 27 from Belle Glade we past an old building almost hidden among the weeds. We stopped, as we tend to do when looking for “rusty gold.” While I have no idea if it was the one that we went to all those years ago, it had a very familiar look to it. A heavy growth of weeds and trees kept us from exploring deep into the property, but the front was fairly typical of what I remember as a kid. In some ways it was like looking at a ghost. The front building was all that was left for the most part. 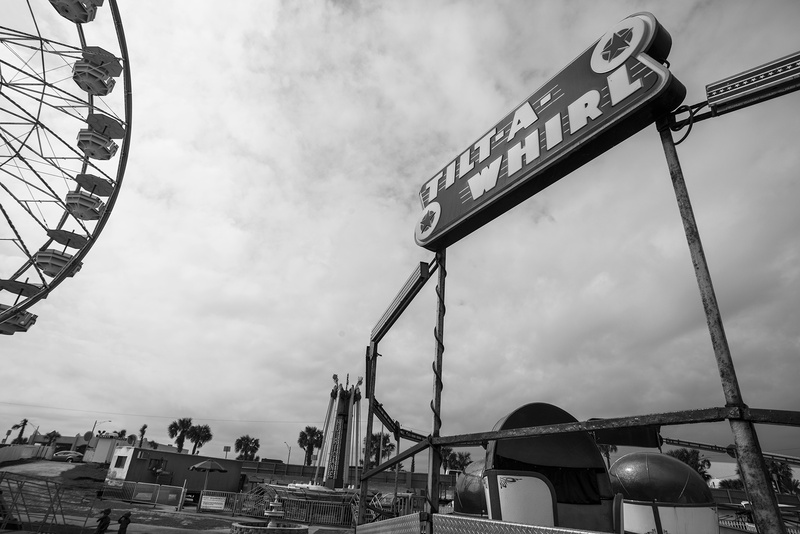 The words painted on the front of the building told of its glory days as a pre-Disney Florida roadside attraction, the “Finest Collection of Everglades Animals.” The animals are now gone, as are the wrestlers and the women who made the crafts. Gone too are the tourists. 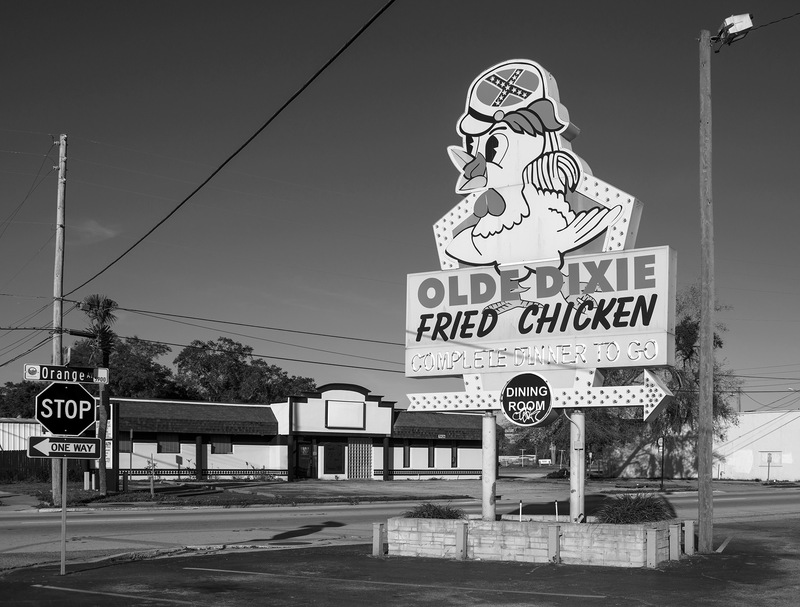 The building, at least for now, still stands as a reminder of a not too distance past in Florida’s history. I am glad that we stopped to make a few photographs and when days like this happens I am glad to be a photographer and time traveler. 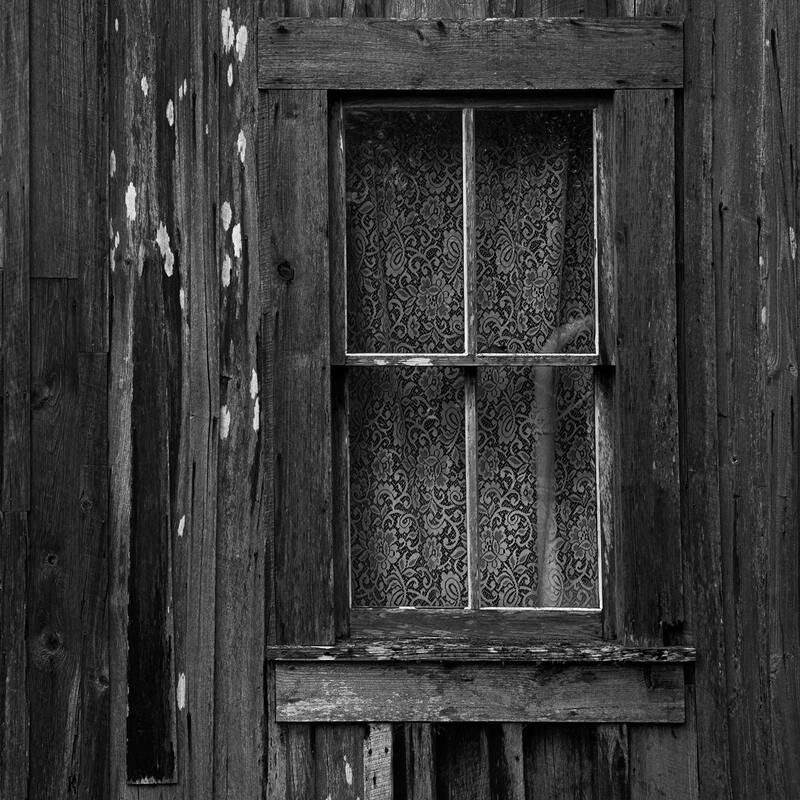 Over the years I have been photographically fascinated with doors and windows. Looking at my entire body of work one will see many window and door images. While most of these photographs have signs or at least words in them, there are still a number of times where the sign is framed within a window or a door. Sometimes, like the photo above, I find something interesting in just the door or a window. Looking at this image it might be assumed that there is a special interest in texture. It is there to be sure. However, there is something more. Doors and windows allow one to travel from one plane of existence to another. When either looking into or out of a door or window there is a feel that there is something going on, on the other side. What can be seen from either side will often ask more questions than they answer. There can be mystery! There is also a pleasing way that the shape of a door and or a window will create a frame within the composition. There is formalism to the way that the series of rectangles and squares work within a space. Anyone familiar with the French painter Piet Mondrian will see something of his work in a space that is visually divided with windows and doors. While Mondrian deals with issues of abstraction, when we look at a window the impact of the image is the formal structure, however in the image of a window or a door there is the added dimension of what lays beyond. My door and window images are often very simple. I believe the simpler they are the more they can say. It may seem like a contradiction in terms, but I believe that in simplicity there is complexity. Sit back, look and enjoy.